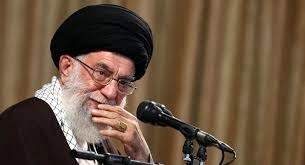 As the US and world powers approach a November 24 deadline on nuclear talks with Iran, governmental sources in the Islamic regime have reported that they are conducting secret talks with America about renewing diplomatic ties for the first time in 35 years. Iranian government advisers spoke to the British The Times, and said secret talks with American officials have centered around the possibility of opening a US trade office in the Iranian capital of Tehran if a nuclear deal is reached. Those talks are to continue this week, and according to the officials will take place in the Azerbaijani capital of Baku, located just north of Iran on the Caspian Sea. They added that the Iranian delegation in the covert talks is led by Mohammad Reza Sabzalipour, head of Iran's global trade bureau.